The round was led by Lightspeed Venture Partners and T. Rowe Price. Existing investors General Atlantic, JMI Equity and Jackson Square Ventures also participated in the round. The company has now raised $179 million since inception. The inclusion of an investor like T. Rowe Price often is a signal of IPO ambitions, and Winter acknowledged the connection, while pointing out that T. Rowe Price is also a customer. “We do have a goal to be public-ready as a company that we are aiming for. We are the leader of the space, and we do feel like striving to be a public company and to be the first one in our space to go public. It’s a goal we are going to push for,” Winter told TechCrunch. The company acquired the Savo Group in May to help expand its market position. Seismic is based in San Diego with offices in Boston and Chicago (from the acquisition). It also opened offices in the U.K. and Australia earlier this year and plans further international expansion with the new investment. The company currently has more than 600 employees, including 185 engineers and project managers, and plans to keep hiring as it puts this money to work. It’s been less than six months since Adobe acquired commerce platform Magento for $1.68 billion and today, at Magento’s annual conference, the company announced the first set of integrations that bring the analytics and personalization features of Adobe’s Experience Cloud to Magento’s Commerce Cloud. 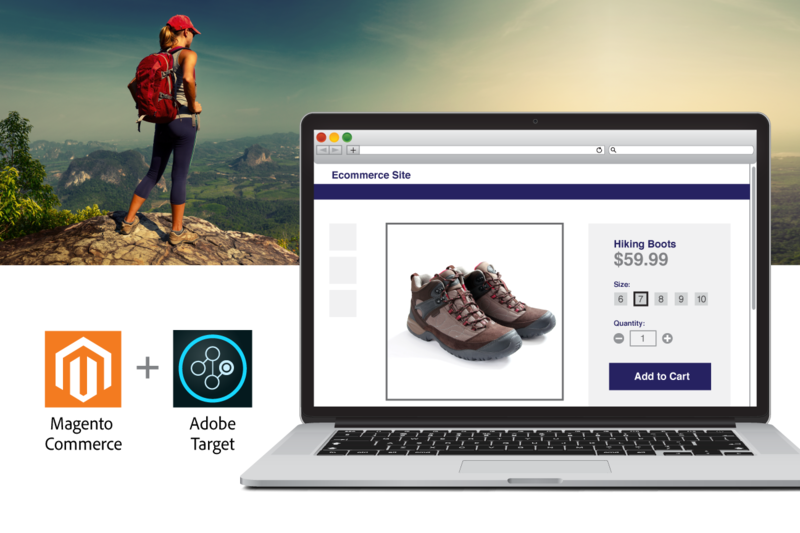 So with these new integrations, Magento Commerce Cloud users will get access to an integration with Adobe Target, for example, the company’s machine learning-based tool for personalizing shopping experiences. Similarly, they’ll get easy access to predictive analytics from Adobe Analytics to analyze their customers’ data and predict future churn and purchasing behavior, among other things. These kinds of AI/ML capabilities were something Magento had long been thinking about, Magento’s former CEO and new Adobe SVP fo Commerce Mark Lavelle told me, but it took the acquisition by Adobe to really be able to push ahead with this. “Where the world’s going for Magento clients — and really for all of Adobe’s clients — is you can’t do this yourself,” he said. “you need to be associated with a platform that has not just technology and feature functionality, but actually has this living and breathing data environment that that learns and delivers intelligence back into the product so that your job is easier. That’s what Amazon and Google and all of the big companies that we’re all increasingly competing against or cooperating with have. They have that type of scale.” He also noted that at least part of this match-up of Adobe and Magento is to give their clients that kind of scale, even if they are small- or medium-sized merchants. The other new Adobe-powered feature that’s now available is an integration with the Adobe Experience Manager. That’s Adobe’s content management tool that itself integrates many of these AI technologies for building personalized mobile and web content and shopping experiences. 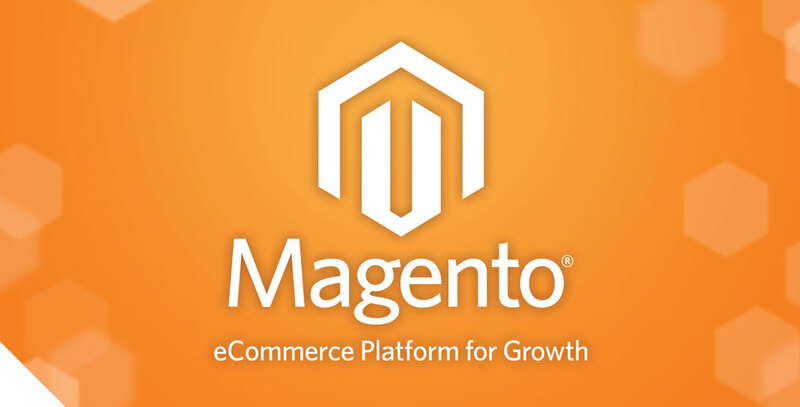 It’s worth noting that Magento is also launching a number of other new features to its Commerce Cloud that include a new drag-and-drop editing tool for site content, support for building Progressive Web Applications, a streamlined payment tool with improved risk management capabilities, as well as a new integration with the Amazon Sales Channel so Magento stores can sync their inventory with Amazon’s platform. Magneto is also announcing integrations with Google’s Merchant Center and Advertising Channels for Google Smart Shopping Campaigns.